Chances are you’ve never sat down to think about it, have you? You just say “jay-peg” and go on from there as if it is a normal word in the English language. JPEG represents a revolution in understanding images, and while it’s not perfect, it’s still pretty awesome. In order to understand JPEG, you have to look back to the late 1980s. Computers were starting to come with color monitors routinely and people wanted to look at pictures. There were even some pioneers who wanted to download them. There was one huge problem, though: a decent size photograph was about nine megabytes. That may not seem a lot today — it’s 1/3300th of the capacity of your smartphone most likely — but back then you would have fit at most three photos (and very little else) on your computer. There also wasn’t any affordable storage medium that could hold a picture that big. Actually, before the first advances in compression pictures were about three times that size, which was frankly unusable. The first form of compression, run-length encoding, did very little other than identify duplicates. This helped a lot with data, but not with detailed pictures. The next miracle of compression, called LZW for its founders (Lempel, Ziv, and Welch) did an excellent job of shrinking data by half without losing any of it. That still wasn’t enough. The Joint Photographic Experts Group, organized in 1986, had a different idea. With pictures, they reasoned, it was ok to lose a little detail if it was something no one would miss. What if that image were 1/255th less bright but you could make it 1/10th the size, they asked. What if the edges were just a little fuzzy but the image were 1/50th the size? The group published the first standard, named after themselves (JPEG) in 1992 and it took the imaging world by storm. Key in that first standard was a sliding scale that let people trade quality for size. Suddenly it was possible to fit a whole 8×10 picture on one floppy disk, or download it in under ten minutes (remember this was the 90s, that seemed pretty cool.) 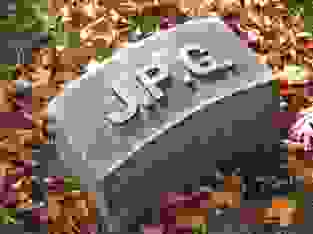 JPEG became one of the key elements of the World Wide Web when it debuted, and since at that time GIF was actually copyrighted, JPEG set out to take the world by storm. Is JPEG still a good format? In the intervening years, JPEG’s gotten a bad rep among image snobs, because it does trade off a lot of detail for low size. In the meantime newer standards like PNG are able to get close to JPEG’s size while preserving much more of the quality, thanks to advances in higher-level math. JPEG is still used a lot for the web and lower-end cameras, but the real connosseurs use RAW format which is a step back to the days when there was no compression at all, the difference of course being that your camera can hold as much as roughly 200,000 1980s-era floppy disks so it’s ok if the pictures are much larger. Web pages now routinely start with JPEG files but translate them to the WEBP format which is more compact. Changing the pictures to WEBP makes downloads go faster but doesn’t have a real measurable effect on quality. WEBP is a better, less destructive format than JPEG so there’s really no difference looking at a JPEG or a WEBP made from a JPEG. Apple’s devices now use a format called HEIC to store photos on the phone. Unless you can read and use HEIC, the pictures are converted to JPEG automatically. This happens as you transfer them to your computer or to the cloud. HEIC is a better format than JPEG because it holds better quality in a smaller size. This allows the phone to hold more pictures. However, HEIC doesn’t have support from many programs. That’s why conversion to JPEG is important. Although JPEG isn’t the king of the hill anymore, it’s not going anywhere. It’s been so common for a generation, and that means pretty much every device supports it. And, they will for a long time to come. What’s the difference between a flash drive and a solid state drive?